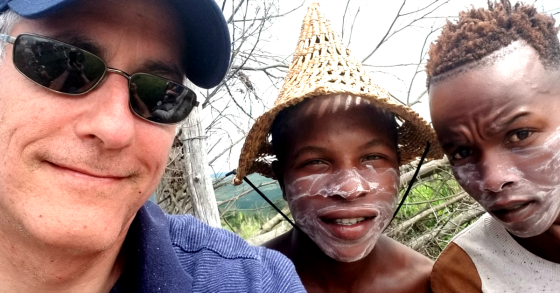 On my recent sojourn, we made four stops in South Africa along the eastern part of the country. It’s a lovely country and the people are wonderful despite having had to contend with a very difficult past associated with Apartheid. To the pleasant surprise of the world, the country has moved forward without a lot of revenge by the non-white majority (although this may be changing with some legislation recently passed allowing for the confiscation of white farmers’ land without compensation) against the minority white population that no longer holds the reins and instruments of power. This is overwhelmingly due to the character and courage of Nelson Mandela. When one visits South Africa one cannot help but feel the palpable presence of Nelson Mandela. He has left an indelible mark on the country in ways that put him on the same hallowed ground as Abraham Lincoln and George Washington. I had the opportunity to see where Mandela spent the first 18 years of his 27 years of imprisonment on Robben Island. The picture above is from there. It is quite a formidable place and Mandela and his fellow prisoners suffered tremendously while there. 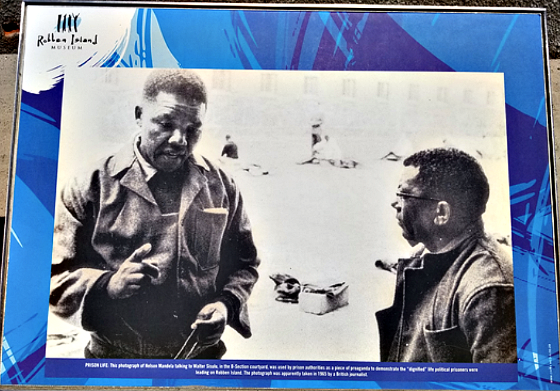 While Mandela was no angel in his fight for dignity and freedom, he turned to violence when the non-violent approach of the ANC was only leading to more deprivation, humiliation, and violence being perpetrated by the Apartheid regime. Mandela came to realize, however, that as much as he and the black population wanted to take revenge against the South African whites, this was no way to take over a country and transition it to democracy. There could be no revolution without reconciliation, just as Lincoln conveyed in his second inaugural address. As a result, Mandela, along with Archbishop Desmond Tutu, was committed to a process of healing and reconciliation so that the country could move forward which most people would agree was a courageous path to take. I have been fascinated by courage because it’s a vital quality for us to progress individually and as a society. It’s also critical in being a successful investor because it is not easy to part with our money to make an investment and it is also quite difficult to ride the emotional roller coaster of it during the holding period and stay the course. And yet we must do this if we are to be successful in the long run. We have to pull the trigger to get in the game and we must stay in the game. But what is courage? In my book, I used Plato’s definition that courage is knowing what not to fear. Upon further reflection, however, this left me unsatisfied because courage requires us to take action and this does not speak to action. It’s not enough to not to fear something. In fact, I think true courage takes place despite being fearful. As a result of this rethinking, I have been on the lookout for better definitions of courage and a more deeper understanding of it. I feel like I found it in the book The Courage To Be by Paul Tillich. The affirmation of one’s essential being in spite of desires and anxieties creates joy. Lucillus is exhorted by Seneca to make it his business “to learn how to feel joy.” It is not the joy of fulfilled desires to which he refers, for real joy is a “severe matter”; it is the happiness of a soul which is “lifted above every circumstance.” Joy accompanies the self-affirmation of our essential being in spite of the inhibitions coming from the accidental elements in us. Joy is the emotional expression of the courageous Yes to one’s own true being. This situation is classically expressed in Thomas Aquinas’ doctrine of courage. Thomas realizes and discusses the duality in the meaning of courage. Courage is strength of mind, capable of conquering whatever threatens the attainment of the highest good. Most of us fear those difficult conversations in which we anticipate the other person becoming upset. And yet if we stop ourselves from taking action for fear of the other person’s reaction we are not being courageous but cowardice. If we move forward, however, in spite of our fears and concerns, and address the difficult issue with the person then we have sacrificed our comfort for the greater good for both of us and hopefully nudge each of us a little further down the path of being able to utilize our gifts and maximize our potential. And inevitably we feel much better for having dealt with the other person and the difficult issue in a respectful but effective manner and we end up feeling a great sense of relief and satisfaction. There is no escaping the discomfort. It either remains with us because we have not addressed the issue and it is lingering out there or we deal with the short-term pain of handling it but usually feel much better for having done so and exercising and growing our muscle of courage. So any time you take an action that you do in spite of something and it is the right thing to do you are being courageous. And this is something that should make you feel proud and hopefully elicit a feeling of joy because you are saying “Yes” to life. You have chosen “to be” versus “not to be”. And unlike Hamlet, who wrestled with the question of choosing between the two, we should discard any question related to it and make the definitive and unequivocal statement that we are choosing “to be”. Thank you, Nelson Mandela, for reminding me of this.